About the background of the author Falguni and her journey of writing a mythological fiction. 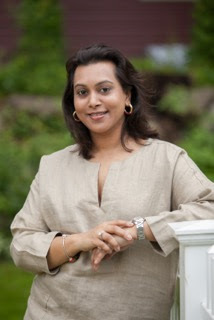 I was born and raised in Mumbai, and coming from a close-knit conservative family, got married young. Settling into domestic life, I didn’t see much point in getting a degree that wouldn’t go anywhere, so I dropped out of college. Fast forward a dozen plus years, I moved to New York with my family and resettled into a different kind of domesticity. Then, one day I was jarred out of this cook-a-thon lifestyle by my mother who wished that I would make use of my brain for something beside thinking up the next fun-themed kitty party. I guess I was ready for yet another change, because shockingly I listened to her and decided I would finish my education and finally get my degree. I wasn’t ready to physically go to college (I’m lazy that way), and looked into taking online classes, and stumbled across a short course called “Romance Writing Secrets.” Really. How could I not take a class with that title? I took it. Enjoyed it immensely. Learned quite a bit about myself in the bargain, like how much I love creating stories and characters and giving them issues and problems that I can solve…like some Creator God! So, I took another class on grammar, then another on novel structure…and six short months later I was in the business of cooking up stories. I was writing every day. What had begun as the final assignment of the RWS class, was quickly becoming a story. By the end of the year, I had finished my first manuscript. All excited that I’d written a whole freaking book, I showed it to a couple of reader friends who were suitably impressed that I’d written something readable and…gulp…good. They encouraged me to publish and that’s how I got into the publishing game. I’ve been very lucky that my first manuscript was picked up by a publisher, and also my second. Then came Soul Warrior, which is a different kind of spin on the old legends and myths of India. I did get an offer from a publisher, very early on, but I chose not to accept it because they wanted to change a good, solid chunk of the story. They wanted me to take the romance out of it. Which I thought was hilarious as until then I was/ am a romance author—my first two books are contemporary romances. Obviously, I refused their very kind offer and eventually decided to self-publish. Why mythology? 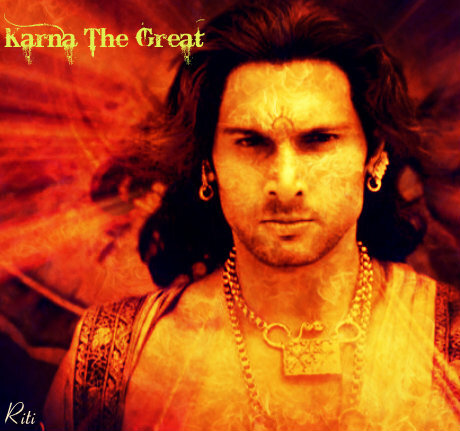 Because I love it, especially India’s mythology which is vast and complicated and seemingly never ending. 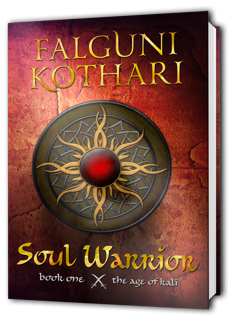 I wrote Soul Warrior because I have imagined Gods using cell phones and warriors in Kevlar vests and dhotis. I have always wondered what various Gods are doing in Heaven…right now…as I type? I wrote Soul Warrior because I wanted to know if Gods walked among us, as they did in ancient times, how would it be? I wanted to make magic real, and the only way to do that is to write mythic fantasy.